Software development takes high-level technical knowledge and organized, experienced development teams to succeed. A well-designed desktop app, mobile responsive website, or CRM tool could increase your business’ efficiency and convert more leads. All it takes is a great idea and skilled custom software development company to make it happen. 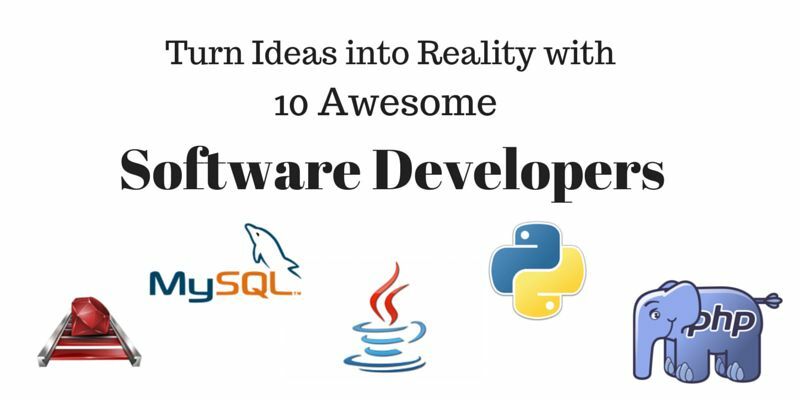 Below is a list of 10 trusted software development companies and what they can do to help propel your idea into reality. Intridea is a global, full-service strategy, UX and engineering agency headquartered in Washington DC. Their client base consists of 145 clients ranging from startups to Fortune 100 agencies. Intridea builds products using an agile process that allows for adaptation and evolution in the development stage and beyond. Their project management, design and engineering teams are constantly absorbing new feedback and recent user experience patterns and best practices to deliver software that lasts. Softeq is a full-cycle software development company founded in Houston, Texas in 1997. They specialize in three major areas; Mobile applications, advanced web applications and embedded software. Their team consists of more than 150 engineers, designers and other professionals with an average project experience of eight years. Each of their team members has a deep understanding of both the hardware and software systems needed to develop, deploy or enhance a product. In 2015, Softeq was announced as one of the top Java developers. View more of their services here. Prismetric was founded in 2008 and provides complete web and mobile development services to clients around the world. It began with two founders with core expertise in mobile, web solutions, CRM and business intelligence solutions. Their synergy enabled the company to grow into a leading provider for full-range technical solutions with a team of more than 60 developers, project managers and industry consultants who serve a client base in the US, UK, Canada, Australia, European countries and South Africa. Prismetric offers solid expertise, high-quality at reasonable prices, hassle-free project management, advanced infrastructure and an absolute respect for intellectual property rights and client privacy. They instate a firm non-disclosure agreement that ensures client data is safeguarded from unintended usage. July Systems is a top app development company that was founded in 2001 in California. Some of their early invested include Intel Capital, Updata Partners and Westbridge Capital & Footprint ventures. July’s development platform is trusted by companies like CNN, ESPN, ToysRUS, CBS, Holton and more, earning a reputation as one of the top mobile platform and services companies in the world. July Systems aims to help businesses build and manage mobile experiences rapidly, pioneering their creations with a hyperlocal experience platform (WiFi-MX), an innovative professional services team (July Rapid) and a cloud-based mobile app platform (July MX). Their solutions are quick to market, they can make rapid iterations, and all their service operations are well-managed with experienced professionals. Learn more about the “ingredients” July uses to create different apps. Amadeus Consulting is an award-winning technology organization that creates products to serve their clients, employees and community. Founded in 1994, Amadeus has helped clients ranging from Fortune 500 companies to startup entrepreneurs solve their business challenges with custom software and mobile app development. Four Kitchens is a one-stop web consulting firm that builds websites with expert strategy, design and development. With more than eight years of expertise working with the web, their teams handle everything from digital strategy to post-launch support. Four Kitchens becomes their clients’ technology partners, thriving on collaboration while bringing a project from inception to completion. Four Kitchens works with organizations to turn ideas into actionable tasks, features and measurable outcomes. Their best practices and methodologies are well-researched to provide a solid framework for any project. They are experts at making websites work on any device and they meticulously build scalable solutions for the web. Their code is responsive, fully tested and maintainable. Itransition was founded in 1998 and has grown to serve more than 500 clients and partners in 30 countries. They have offices in Austin, USA, London, UK and Minsk, Belarus. Their team of more than 1300 employees are experts at delivering full-cycle software development services with impressive technology skills, domain knowledge, hands-on experience and effective methodology. Itransition excels in development, customization and integration of complex enterprise-level solutions, advanced web and mobile applications. Itransition utilizes smart communication to collaborate efficiently, no matter where you are based. Their tenets also include ingenuity, professionalism, cultural collaboration and verifiable information. They don’t make assumptions with their work, and their projects and best practices are backed up with facts and hard data. Itransition delivers with excellent project management. Clients resolve all issues through a project manager and detailed plans are created at the beginning of each phase. Itransition experts take special care in selecting the right development methodology for their clients’ needs, and engages an independent QA department in their development process to ensure a high quality product. Once the project has been created and delivered, their clients will be trained in how to use it and given documentation, specifications, design details and user manuals. MentorMate is a mobile innovation pioneer established in 2001. It began as an innovative app for language educators and has grown into an international mobile solutions firm with almost 300 employees specializing in user experience (UX), app development, technology management and digital marketing. Their mission is “to drive mobile business by designing from the user’s perspective.” Their dedicated teams of web and mobile app developers can be scaled to suit any size and need. Their teams are composed of planners, designers and developers who have experience serving Fortune 500 companies, the healthcare and retail industries, and everything in between. They also provide custom mobile and web software, backend integration, data analytics/BI and management services. MentorMate’s consulting services are focused on the mobile enterprise and can help companies establish the big picture and invest in areas of opportunity. The bottom line is MetorMate’s customized digital solutions meet clients’ needs and earn results. R-Style Lab is a full-service software development company that specializes in custom software development, enterprise solutions and mobile apps. They supply premium software development and IT consulting services in partnership with global technology providers. R-Style Lab has more than 20 years of experience and seasoned professionals on their board. They have served federal and local governments, small businesses and large companies. Software development is rapidly changing every day, so R-Style lab offers three different development methodologies to better serve the needs of their clients. These options are chosen based on goals, project size and resources, and allow R-Style Lab teams to handle complex projects while applying best practices in business analysis, development, post-deployment support and maintenance. The Waterfall development strategy focuses on clarity and simplicity, with a consistent set of project documentation at each stage of development. The Classic iterative methodology (RUP) can be applied to a wide range of projects and entails high attention to requirements, documentation, architecture elaboration and modeling. Their Flexible methodologies (agile) builds on continuous interaction with the customer and allows for more flexibility. The main focus of each team member becomes the success of the whole project versus individual tasks, and the team is trusted with self-organization and self-management. This methodology usually entails cross-functional team members and high attention to relationships, communication, motivation and leadership. Segue Technologies aims to solve their customer’s challenges with consistently high-quality innovative products and services. Founded in 1997, Segue Technologies has served federal, commercial and non-profit organizations with custom software applications and data management solutions. They help solve IT challenges, improve operations, and can support the evolving mobile workforce. Regardless of platform, Segue Technologies uses innovative tech to enhance customer operations. Segue Technologies can transition companies from ineffective systems to custom IT services that improve performance and efficiency while saving time and money. They start by defining your business needs to discover the best solution, and use technology to solve problems and reach goals. 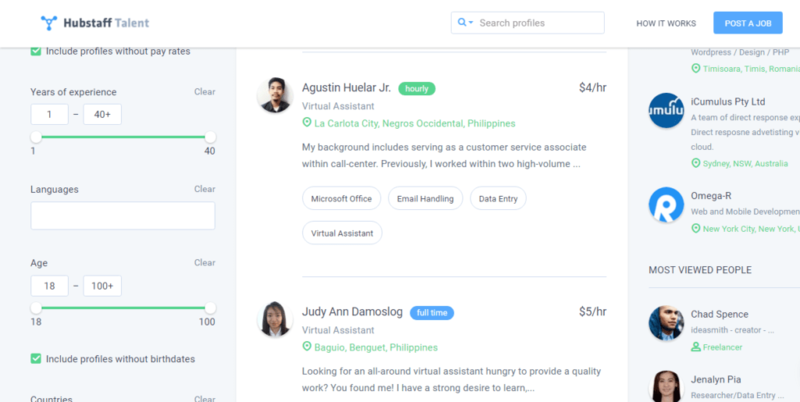 Hubstaff Talent connects software developers and clients with efficiency and finesse. It’s a free directory for companies looking for remote talent across the globe. There are no markups and no fees on either side (freelancer or business owner). That means developers get exactly what their client pays them. Search through 4000+ top rated software developers and software development companies or get bids on your job. This free platform displays a developer’s hourly rate, skills, experience, availability, resume, and languages spoken. Developers also have the option to add a short “about” description to provide more information on themselves. Profiles can be filtered by skill, availability, years of experience, or country. You can also run a search for keywords or phrases. Are you thinking of hiring a software development company? Make time tracking, billing and payments easy with Hubstaff. @partheshraval:disqus, Dave is talking about 10 trusted companies that he knows about and not THE TOP 10. While these companies seem great with impressive clientele, I am sure a lot more research would go into figuring the top 10 lists. In fact, it would probably be impossible to determine since trust is not a measurable quantity. Thanks for the great post, Dave!